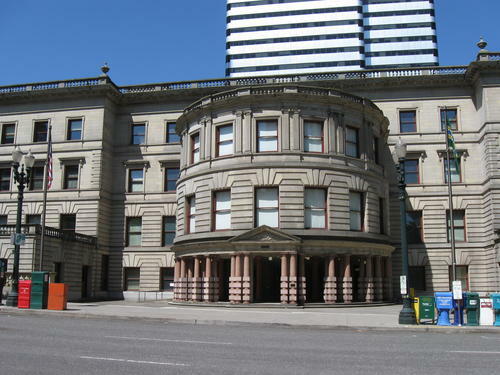 If you own multiple residential rental properties and at least one happens to be within the City of Portland, you may find yourself subject to a tax you have long been exempted from. Prior to 2012, if an individual had fewer than 10 residential units, and it was their sole business activity, then they were exempt from both the Multnomah County Business Income Tax (MCBIT) and the Portland Business License Tax (PBL) regardless of gross income from the properties. This was a great exemption for retired individuals with several rental properties that functioned their main source of retirement income, or a rental property owner that happen to be unfortunate enough to have a property within the city limits even though all their other properties were far outside of the Portland. Unfortunately, politicians tasked with raising revenue often resort to eliminating exemptions like this one in order to avoid getting blood on their hands. On June 6th, 2012, the Portland City Council, in their infinite wisdom, amended the Portland City Code and removed the exemption for individuals with fewer than 10 residential units. This is retroactive change in that it is effective as of 1/1/12 even though we are more than half way through tax year 2012. This means that if you have some profitable rental units that gross well over $50k, you will want to meet with your tax professional as soon as possible as you may want to start setting aside funds for this tax. Fortunately, this is only a change for the PBL, and at this time there is still an exemption available for the MCBIT. If you are unfamiliar with the two taxes, the MCBIT is a 1.45% tax and the PBL is 2.2%; however, both have a minimum tax amount of $100, so even if you have a really bad year, you are still going to pay $200. There is an exemption if you gross income is less than $50k, but it is important to understand that this is based on your global gross income. You could have eight rental properties in Bend, OR and only one in the City and still be subject tax since the gross rent for all nine properties is over $50k. You only have to pay tax on the percentage of income earned within the City limits, but unfortunately not below the minimum tax amounts. Most rental property owners with only a few units will fall under the $50k gross income exemption limit. Those with more units or high value residential properties can expect to pay at least $200 each year and possibly much more depending on the profitability of your properties. For retired individuals who own a number of residential units that are paid off, the tax due could be enough to make you want to go join the circus of protestors outside of City Hall. If this applies to you, talk with you tax professional today and avoid an unwanted surprise at tax time. We are at the 11th hour for filing tax returns today – hopefully you have filed already or have sent in an extension. Just a quick, last-minute reminder for those of you who have not yet filed the 2008 return for your corporation, LLC, partnership, or sole proprietorship business and do business in the City of Portland and/or Multnomah County – remember to extend your City of Portland return. Unfortunately, many forget this return and end up with some sizable penalties when they finally file. However, the City has made the process much easier than prior years as payment is no longer required, so you have no excuse this year. Download the Fillable Pdf – for those of you who want to wait at the post office.